What marketing tool is cost-effective, scalable and extremely efficient at producing results? Videos. Once the exclusive province of only a few Madison Avenue agencies, video marketing has burgeoned into one of the most sought-after services in our industry. The days of print are dead. The age of advertising on radio is gone. But the era of leveraging videos for marketing…is just beginning. Here’s the real reason you need to hop on the video marketing train and take your business to new, unseen heights! Why are videos so effective when leveraged for marketing? What makes a product demonstration or VNR that much different from the an eye-catching billboard, or cleverly written magazine ad? Prospects form the target market of a business, and the ones that express interest in the business become contacts. Contacts are pitched to, becoming leads. Those that respond to the pitch become finalists, and when they make a purchase or sign a contract, they become clients. 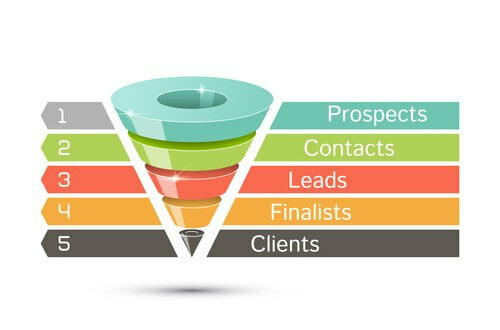 The task of the marketer is to optimize the sales funnel at each and every stage. Through promotional efforts, they maximize the amount of business that comes through the door. Through convincing demonstrations of value, they maximize the amount of business that walks out as a client. This is the essence of what marketing is. At its core, marketing is a form of communication. How well you are able to market your brand is therefore a consequence of how well you are able to communicate to others about it: what does it do? how does it work? what is its value? With this in mind, it’s clear that using videos for marketing is so effective because of the medium it provides. Written copy, illustrations and the like are static. They are two-dimensional. The communication is a one-way street. They might speak to the audience, but they don’t allow the audience to respond. Videos, on the other hand, are engaging and interactive. They are more human, more natural, and for this reason they convey more trust and familiarity. Heres an example of what were talking about. We produced this video as part of a fundraising campaign for our client, Sweet Riot. Sweet Riot has a distinct and unique value proposition that sets it apart as a brand — it’s young and energetic, one of the few companies to be owned and primarily operated by women, and it exudes a sincere but utterly rare commitment to social responsibility. The sentiments and emotions that this video means to evoke are quite human — and more importantly, they can only be captured on the video medium. Transcribed word-for-word into an editorial or an interview, they would hardly be as potent. You need to see what Sweet Riot is all about in order to believe in it and become a customer. Regardless of the message it conveys, the power of videos for marketing is undeniable. At the same time, as communications theorist H. Marshall McLuhan famously said, sometimes the medium is the message. That is, the perceived value of a brand changes with the context and how that value is communicated. This video, produced with our friends at ASK Media Productions as part of BMW’s M Print mailer campaign, perfectly illustrates our point. Ironically enough, it details the difficulty of transcribing a complex, larger-than life idea onto paper. The video asks: how do you create a mailer as thrilling as driving a BMW M? Watch the video to see not only the clever solution that BMW came up with, but also how ASL Productions used the video for marketing another complex idea: an insider’s look into how BMW’s campaign really worked. The process, the camaraderie, the tire marks and donuts and fast action shots — that was the message, and that message only exists on video because video is the only way to communicate it in its totality. If marketing is about communication, then it’s specifically about communicating value: the value of buying this product, the value of retaining that service. Every commercial you see, every ad you read, is trying to convince you of something’s value. It’s one thing to be told that something is valuable. But, as the saying goes, seeing is believing. You cannot truly be convinced until you see for yourself what this product does, why this service is important. Videos for marketing don’t just communicate. They demonstrate. Within each demonstration is the implicit statement, “Don’t take my word for it…let me show you.” Demonstration conveys trust. It builds familiarity. If your audience cannot trust you and does not know you, they will remain prospects. They will not become leads. They will not convert into clients. They will not grow your business. That’s what employing videos for marketing accomplishes, and it accomplishes this more effectively than any other medium. It provides a message that would in any other case be inexpressible. It imbues within your audience a trust and familiarity that would otherwise be unachievable. Each video opens up a new world filled with infinite possibilities, and it’s yours for the taking. All you need is a cast, a crew, and the talent to put it all together. And that’s ASL Productions — your full service video marketing agency, here for all your video needs.